3.5 stars. Hans Wiesman describes his lifelong love affair with the DC-3 aircraft, arguably the plane that made aviation commercially feasible. His fascination with the Dakota started in his youth in Borneo, continued in his career as an advertising executive, and culminated in his role in founding a company that turns old airplane parts into decor and furniture. Along the way, he visits a dizzying array of locations where the DC-3 still serves admirably, often where run-ins with police, military, and locals range from adventurous to downright dangerous. The DC-3 is an easy aircraft to admire. Even on the ground, the jaunty skyward angle of its taildragging configuration seems ready to spring into the air. Its graceful lines and radial engines imbue it with a sense of vintage character. Wiesman outlines its development and the pivotal role of the military C-47 version in World War II, as well as its fundamental role in shrinking the boundaries of our world. The meat of the book describes his expeditions to the areas where the DC-3's capabilities, primarily the ability to land on less-than-ideal runways and efficiency as a short-range cargo hauler, keep the 70+ year old aircraft in operation. Jaunts to Colombia, Bolivia, Madagascar, Thailand, and Alaska show a clear eye for detail, history, and often-delicate political situations. The book is as much a showcase (or not so much, in a couple of instances...) of these locales as it is a paean to the distinguished aircraft. I enjoyed Wiesman's even tones; he sounds like a man who is fully capable of rolling with the punches (probably appropriate as his wingtip-hunting expeditions far more frequently resulted in failure than success). His factual presentation is never dry, and he never gives the feeling that he's improving on the narrative. Wiesman has the ability to make the reader care both about the DC-3 and those he meets who keep it flying. Lots and lots of pictures are presented in the book (though occasionally the captions give away things that I hadn't yet reached in the text). 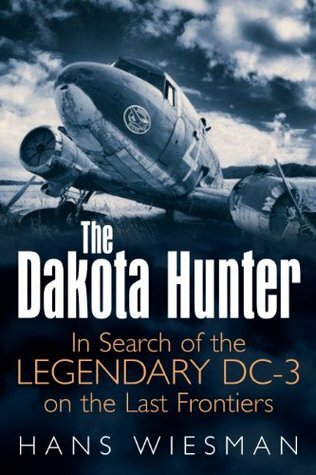 "The Dakota Hunter" will interest both aviation buffs and travel readers. Sign into Goodreads to see if any of your friends have read The Dakota Hunter.